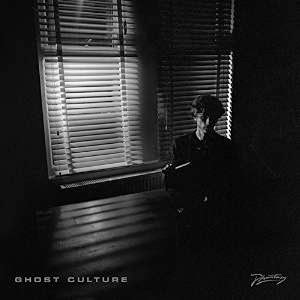 Ghost Culture's debut album is a rare piece that manages to merge the best elements of electronic music with an innate understanding of classic synth pop and intelligent meaningful lyrics to produce one of the most compelling albums of its genre for years. Ghost Culture is the work of Londoner James Greenwood, who was picked up by Phantasy label's DJ and producer Erol Alkan on the basis of one track and together they've created this record which, despite not being something that would ordinarily get us excited, is likely to feature in my most-played and favourite albums of the year come twelve months time. The album opens with 2014's first two singles Mouth and Giudecca and Arms, which had a video reveal a few months back, that have garnered so much attention and praise for Ghost Culture. They set down a marker for the rest of the album, songs (and that's not always a word that comes naturally with such projects) that are perfect for dark late nights and chilled out afternoons, the undercurrent of the record swirls around you rather than meeting you head on meaning that Greenwood's half-spoken half-sung vocals don't need to fight for space, allowing the intonation and vocal effects to make their mark on the listener. The great thing about the record as well is that it is multi-dimensional in the sound that Greenwood creates. Penultimate track Answer stretch to over six minutes and Lucky to five minutes, but have that same edge that makes the singles stand out so that they never outstay their welcome and the album also contains more traditional three/four minute songs which means it's a very focused piece of work and there's no unnecessary noodling or clutter on there. That variety in the record ripples through the mood of the songs. How lyrically has the feel of a traditional singer-songwriter, but set to a bubbling electronic loop, whilst Glass crams about five song ideas into its four minutes without sounding splintered or patchy. Glacier borders on the epic as it builds sonically towards a crescendo before dropping and then rebuilding, whilst Lying is more expansive in its ideas, whilst lyrically dealing with real life issues and worries rather than some of the grander ideas of his contemporaries, closing with the line "if I told the truth, would I scare you off". Ghost Culture is such a success because it transcends traditional boundaries between genres in a way that so few manage to do without sounding contrived or just plain terrible. It's a record that will appeal to fans with wide tastes in music and challenge its audience to discover new things hidden in the mix on every listen whilst remaining accessible without ever resorting to cheap or trite tricks to draw listeners in. Ghost Culture is out today on CD, vinyl and download. A bonus five-track live CD is available for a limited period with purchases from Rough Trade shops. Ghost Culture's official website can be found here. He is also on Facebook and Twitter.